As I’m sure you can imagine, there are some casualties of the heavy rains in our Demonstration Garden. Some of the casualties will probably solve themselves, others will cause problems for some time. 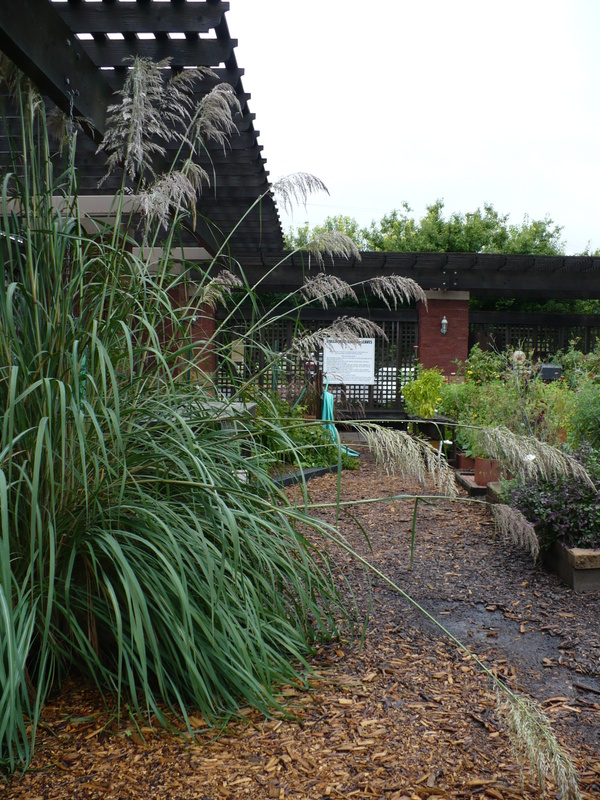 The pampas grass is flopping over into our walkways. It should straighten back up if it dries out. If not, we’ll be cutting it off! 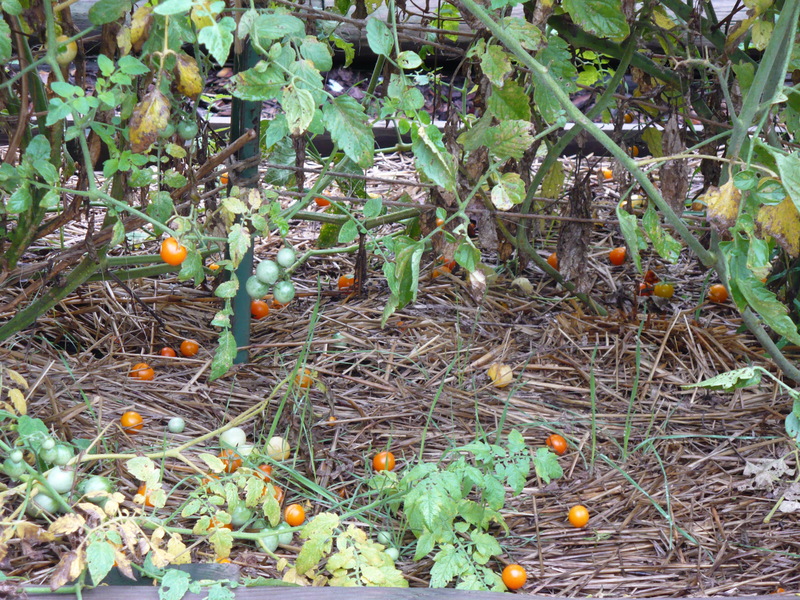 The cherry tomatoes have not quite producing, and with the rain they are splitting and the overripe ones are falling off. If we don’t get them cleaned up a bit, they will start rotting and turn the garden into a stinky mess. I hate the smell of rotting tomatoes! I was surprised to find that the Purple Russian Roma has made quite a comeback! It is loaded with tomatoes! 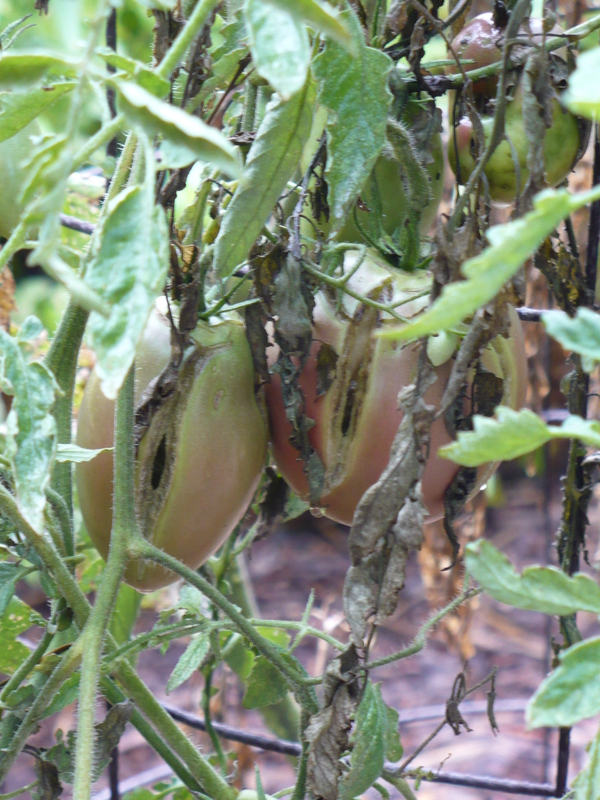 Unfortunately, the heavy rains have caused the tomatoes to crack and start rotting from the inside out. This plant is quite a trooper, which is really impressive, given that it has put up with so much abuse from the Kansas weather. Our friend the Garden Spider in the Family of 4 Garden seems to have drowned in the downpour yesterday. 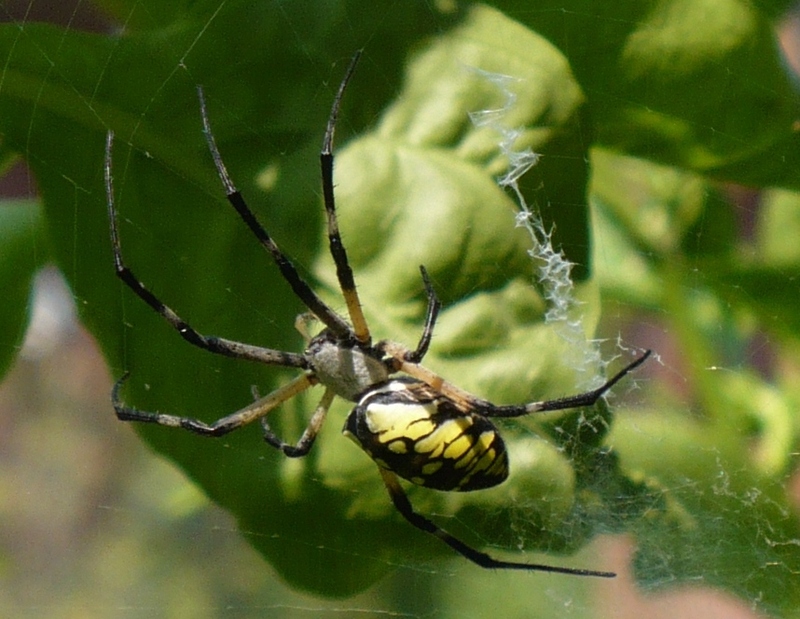 When I went out yesterday afternoon, he was hanging limply from his web by only 2 legs. Today the remnants of the web are there, but he is gone. I’m afraid that is the end of one garden friend. Rather than end on that note, let me say that the fall seedlings are looking good and seem none the worse for all the rain! Posted on September 9, 2009, in Around the Garden and tagged Tomatoes, weather, wet soil. Bookmark the permalink. Leave a comment.